Medicare patients could save an estimated $150 million on out-of-pocket co-payments for clinic visits if proposed changes to the hospital Outpatient Prospective Payment System (OPPS) and Ambulatory Surgical Cancer (ASC) payment system are adopted by the Centers for Medicare & Medicaid Services (CMS) for 2019. The policy changes were proposed on July 25, in an effort to implement site-neutral payments for clinics and establish more transparent healthcare prices, so patients are more aware of their out-of-pocket expenses. Additionally, CMS seeks to adjust the 340B Drug Discount Program to include eligible off-campus provider-based departments that are paid under the Physician Fee Schedule. CMS is accepting public comments on the proposed changes through September 24. “Medicare pays for things differently based on the site of care, paying more or less for the same service but at different locations,” said Seema Verma, CMS administrator. “Decisions about whether a patient receives a service in a hospital or in a doctor’s office is influenced by how Medicare pays.” She also noted that the proposed changes could encourage more competition for better 340B drug payments for patients. CMS often pays more for the same patient visit in a hospital outpatient setting than a physician office setting. The rule would level payment disparity between sites and enable patients to access their preferred care site. 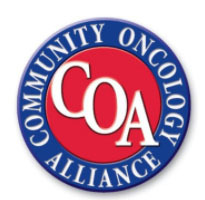 The Community Oncology Alliance (COA), which has advocated for site-neutral payments and changes to the 340B program, said it generally supports the proposed changes. “This policy is fantastic news for seniors on Medicare and taxpayers. They will benefit from reduced out-of-pocket spending when dealing with cancer care and other illnesses,” Jeffrey Vacirca, MD, the COA president and the CEO of New York Cancer & Blood Specialists, said in a statement. Currently, the Medicare payment for a clinic visit is about $116, with $23 as the average beneficiary co-pay. The rule would reduce the OPPS payment rate for a clinic visit by about 40%, to $46, resulting in a beneficiary co-pay of about $9. Based on President Donald Trump’s adjusted budget for 2019, CMS estimates that the changes would save $760 million. This number includes $150 million saved by Medicare beneficiaries and $610 million for Medicare. Hospitals and other large care facilities have objected to the proposed changes. They have said they need higher reimbursement rates to compensate for expensive overhead costs, including emergency services and expensive equipment. “CMS has once again showed a lack of understanding about the reality in which hospitals and health systems operate daily to serve the needs of their communities,” Tom Nickels, the executive vice president of government relations and public policy at the American Hospital Association, said in a statement. Hospitals serve some of the more vulnerable, medically complex patients, Nickels said. The CMS proposal would result in a projected $1 billion in hospital cuts, preventing these patients from getting the care they need. CMS has proposed several other initiatives, in addition to site-neutral payments, to balance costs between cancer care facilities. For example, it has requested to review the ASC Covered Procedures List to include clinically similar procedures that may not be included. By including nonexcepted hospital outpatient clinics in the 340B program, participating hospitals and clinics will be able to purchase certain covered outpatient drugs at discounted prices from manufacturers. For 2019, CMS proposes that nonexcepted off-campus provider-based departments, in addition to all other participants, pay the average sales price minus 22.5% for 340B-acquired drugs. CMS has also issued 3 requests for information, including how best to leverage the authority under the Competitive Acquisition Program (CAP) for the 340B Drug Discount Program. By sing a CAP-based model, CMS would bring on vendors to negotiate payment amounts for Part B drugs. “Medicare [can no longer be] a price taker for these medicines,” CMS said in a statement. “We are seeking public comment on how the vendors that CMS brings on could help the agency structure value-based payment arrangements with manufacturers.